Seasoned marketers will often dismiss any new, hot app as a flash in the pan – just because a new platform gets the spotlight at SXSW, that doesn’t mean that it’ll become a useful tool in a marketer’s arsenal down the line. There’s plenty of precedent for this – while Snapchat, for example, was initially heralded as the next big thing for marketers hoping to reach young audiences, it’s since been abandoned by many of its initial brand adopters as a result of its difficult-to-measure ROI, usability issues and high advertising costs. But TikTok, a short video app initially launched by Chinese company Bytedance in September 2016, and beloved by teenagers (and younger) around the globe, may well be worth a second look. A recent New York Times report entitled “How TikTok is Rewriting the World” explored some of the ways the app stands out from other platforms, notably through its calls-to-action for digital denizens to become content creators, and its addictive entertainment value for extremely young audiences. As noted, TikTok has actually been available in China for some time, and has built a sizeable audience in Asian markets. In order to expand, parent company Bytedance purchased Musical.ly in November 2017, capitalizing on Musical’ly’s existing audience hold in western regions (Musical.ly had 60 million users at the time of the acquisition, with most of them based in the U.S.). After operating Musical.ly as its own app for close to a year, Bytedance switched the app’s branding to TikTok last August, bringing the app to a whole new audience. And it’s grown, fast – while TikTok, which is known as ‘Douyin’ in China, has more than 300 million monthly active users, and 150 daily actives, in China, it’s also now added more than 26 MAUs in the US, who are spending, on average, 46 minutes per day in the app. So, what content is TikTok’s burgeoning young audience most interested in? In a word: fun. Hashtag challenges and lip synch contests have become the platform’s vernacular, and Bytedance has put a heavy focus on artificial intelligence, meaning that the algorithm learns quickly and is custom-tailored to each users’ individual tastes. This enables TikTok to churn out an almost endless stream of interactive content every time a user logs in. By nature, the platform is extremely interactive. 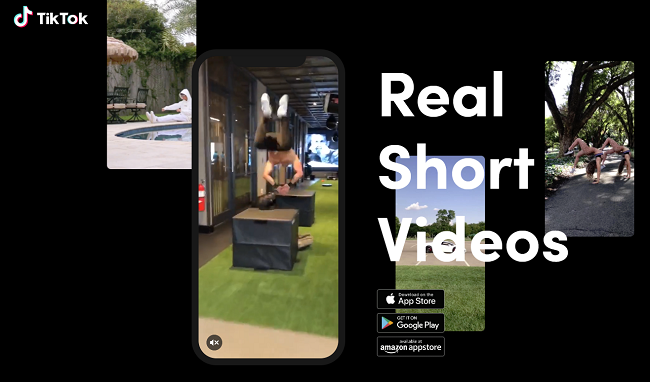 TikTok invites content consumers to join in the fun and create their own videos rather than taking a backseat (although sitting back to watch is perfectly acceptable). There also isn’t much pressure for users to build a large following – at least not in the same way that Facebook, Instagram and Twitter have quantified influence. And as the app grows in popularity across the globe, the question for social media marketers becomes whether brands can join in on the fun, if at all. While companies like NBCUniversal, Viacom and Hearst initially signed deals with Musical.ly, it might not be appropriate for brands to insert themselves into a conversation that feels like an exclusive space for young users. TikTok’s base “gets” the ins and outs of the app’s interface, are wary of advertisers and seem to be becoming less enthusiastic about Instagram (likely because their parents all have accounts by now, and advertising saturation on Instagram is high). At this early stage, the most likely route for brands on the platform is through influencer marketing. TikTok already has a cadre of “hugely popular ‘stars,’ many cultivated by the company itself,” according to the NYT article. If you’re already thinking about how to recruit influencers for the platform, make sure that whoever you do choose to work with knows how to entertain, and bring audiences in on the action. Interactivity, and a creative bent, should be the first items to consider, rather than star power, engagement or follower count on other platforms. Who knows? Maybe that coworker who does stand-up comedy or draws comics on the side could become your very first TikTok influencer. A version of this post was first published on the Social Shake-Up Show blog.